March 9th in WordPress Themes by Wordpress Jedi . 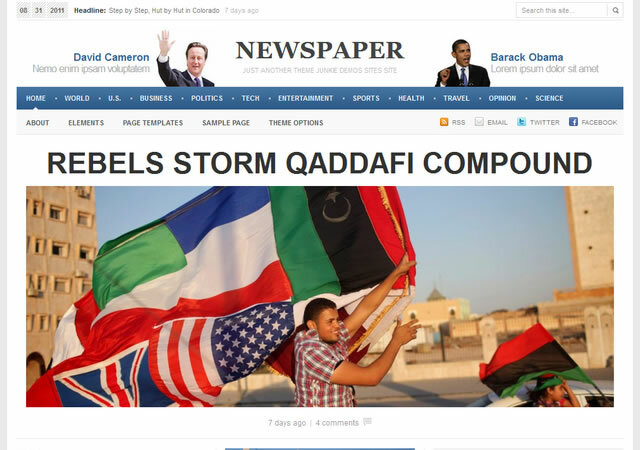 Newspaper Theme: gives your website the look of a professional online newspaper. It has multiple category page layouts and controllable sliders. 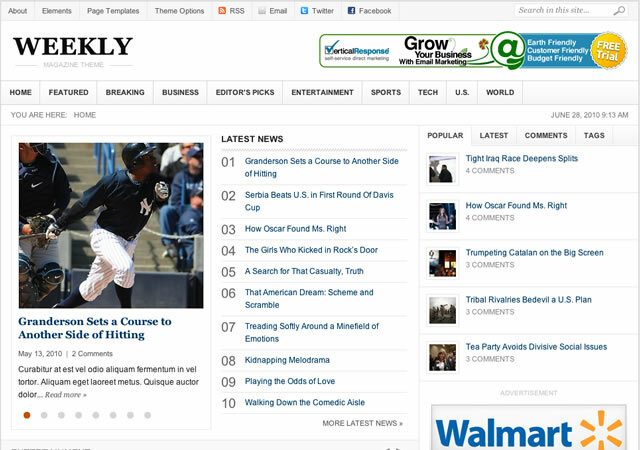 Newspaper: makes your website look like the Huffington Post. It has an advanced control panel and offers automated thumbnail resizing. PIM: works great for magazines and news sites. It has 3 skins and 2 homepage styles. You also get a bunch of custom widgets to customize your site. Advanced Newspaper: similar to the first item in this list in many ways. It is highly customizable. Advanced Newspaper is SEO optimized and has a powerful options panel. Syndicate: works for news, business, and media portals. It has 8 styles and offers 49 widget combinations. You get 76 widget positions too. 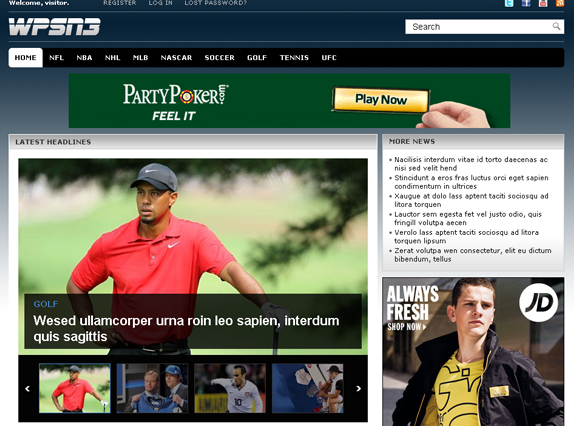 WSPN: turns your website look like ESPN. This is perfect for sports portals. It looks decent and is ad friendly. 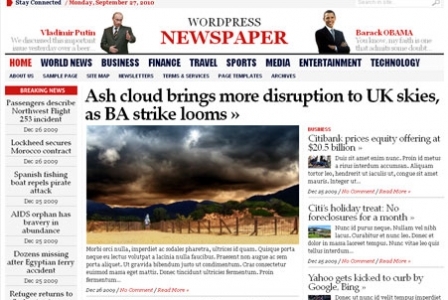 Weekly: another elegant newspaper theme for WordPress. It can handle small and large news sites pretty well. 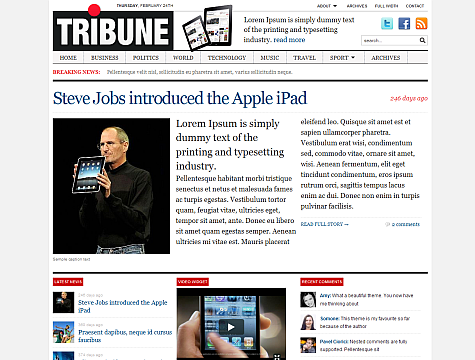 Tribune: a highly customizable WordPress theme for news sites. It is image and video friendly. Tribune has a user-friendly back-end. Newswire: works well for single or multi-author news sites. It has a user friendly backend and is easy to customize. It is ad friendly too. 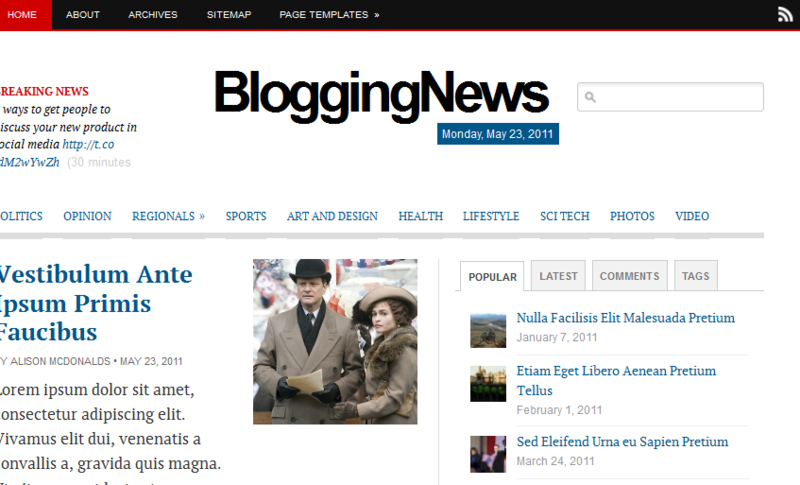 BloggingNews: you can use this theme to start a blog or cover the news under various categories. It is not only easy to customize but also has a responsive design. Which one of these newspaper themes do you like the most? Awesome post guys. I've been looking for a theme like EliteDaily.com and like Inc.com. I love how they both have huge images in their content area but how they also have huge images in their sidebars that link to other posts. Any assistance would be appreciated!